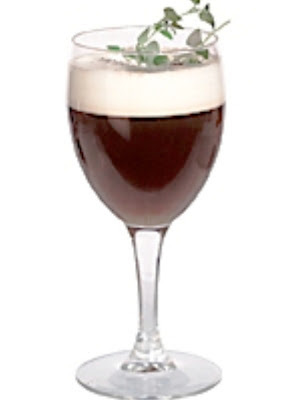 Add the gin and liqueurs to a thick-walled wine glass, or an Irish coffee glass. Nearly fill with hot coffee and top with whipped cream. Sprinkle a little ground coffee on top and garnish with a small sprig of mint.